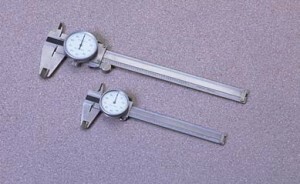 Dial calipers are available in 4”, 6”, 8” and 12”, with either white or black faces. Made from stainless steel, hardened and lapped. Covered rack provides protection against chip interference. 360 degree bezel locks for zero setting. 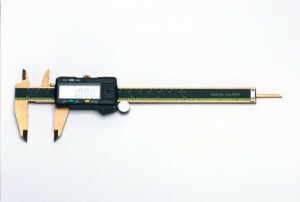 4 way measurement – inside, outside, depth and step. Each caliper is supplied in its own fitted case.